For people without young children in the house, perhaps you don’t experience the change of seasons so viscerally. You go to your climate-controlled office, you come home, you go back to the office. Things don’t change much from one month to the next. Personally, I feel our American school calendar is for the birds. Nine months on, three months off–who needs THREE MONTHS off? Seriously, knock even one of those months off and spread the vacation days throughout the school year–or not–and we’d all be a little more balanced. In our house we’ve all lost our momentum. The kids are bored and and snappish, and my routine is so out of whack that I haven’t planned a week’s meals in…three weeks? A month? I can’t take the anxiety of not knowing what we’re going to eat for dinner when five o’clock sneaks up on me. I can’t start some other project when I don’t even know what we’re having for dinner. Spontaneity is fine for other people, but apparently not for me. All week I’ve been thinking about, and then avoiding, these eggplant meatballs. Saturday. We’ll make them Saturday. I finally plopped the eggplant in the oven to roast this afternoon, so we’ll be one step closer. Yesterday I didn’t know what to have for dinner, so I cooked a pot of rice (credit goes to Tamar Adler for that particular strategy). 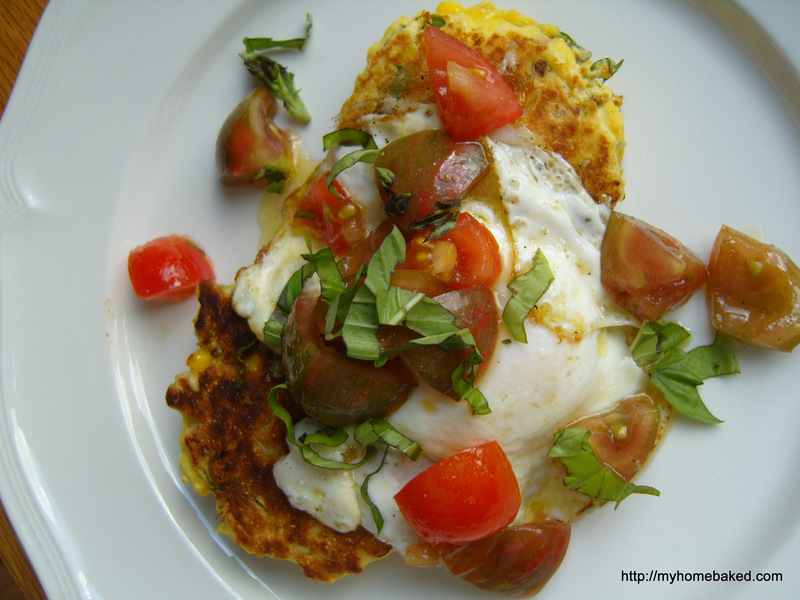 Then I got distracted by these corn cakes and decided to use up the four ears of corn in the fridge instead. With fried eggs and a handful of tomatoes from the garden, it did turn into a lovely meal (you should add a little more buttermilk to the batter, though). I still wish I had planned it ahead of time. Tonight we’ll be eating rice.